Customer Responsibilities – Bronte Movers & Storage – Local Movers in Burlington, Oakville, Milton, Mississauga. We move people all over Ontario & Long Distance. Household moving, corporate moving, packing services, storage facilities, moving supplies, move management. Home of the piano moving experts. REACH YOUR DESTINATION 100% SURE AND SAFE, On Time, Secure, Reliable, Honest and Efficient. THE COMPLETE SOLUTION FOR ALL YOUR MOVING NEEDS! Bronte Movers Customer Moving Checklist for local moves. This is a copy of our customer responsibilities information sheet for long distance moving customers so there are no surprises and everyone knows what to expect. Tractor Trailer units are in the range of 70 feet long and require ample space to maneuver. It is your responsibility to advise Bronte Movers of any access issues such as parking restrictions, construction, inaccessible driveways and any other circumstances that would prevent the tractor trailer from getting within 100 feet of your residence. Sidewalks and driveways must be free of debris and snow. Please be advised that if the tractor trailer does not have adequate access, a smaller unit may be required to shuttle your goods, at an additional charge to you. 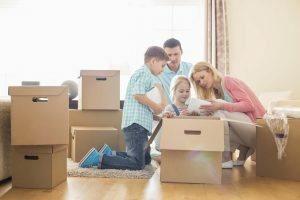 It is your responsibility to ensure that you or your representative is available at your residence throughout the packing and loading process to authorize the move, and sign all relocation documents such as the Bill of Lading and Inventory Forms. It is your responsibility to ensure items such as freezers and electronics have been serviced (disconnected, defrosted, cords wrapped) and are ready to ship on moving day. Any items that you pack are not covered for damage under your transit protection unless negligence occurs on our part. It is your right to review the Inventory Forms and approve the list of items shipped and the conditions of the items at the time of pick up. You will be required to complete an inspection of your home once we have completed loading to ensure we have packed and removed all items. Please ensure Bronte Movers has contact phone numbers for you at destination. This is the only way we can reach you, so please advise us of all phone numbers and an e-mail address. Have your final payment ready for the driver at delivery. This is due prior to unloading and must be of the type listed on your contract. If you are paying by credit card, the card holder must be present with the card at the time of delivery. Credit card payments should be pre-authorized by Bronte Movers. It is recommended that at least two persons be available to receive your shipment: one to check the items off the Inventory Form as they come into your home, and a second to inspect the conditions of the items and direct us for placement of your items. Any damaged or missing items must be noted on the Inventory Forms prior to your driver’s departure to be considered a valid claim. Please ensure you have a complete set of signed and dated documents (Bill of Lading and Inventory Forms) prior to your driver’s departure.